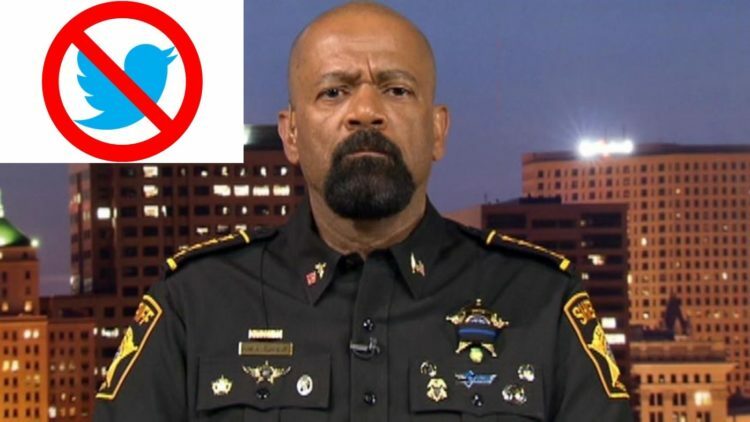 Is it just me, or does this look like former Sheriff David Clarke is being singled out here by Twitter? This past week, the leftist media dug up fake news on Clarke and spread it around. It had to do with an altercation on a plane from last spring. A guy accosted Clarke and he had him removed. Words were exchanged. The guy is suing Clarke and at the time, the FBI wanted a look at his emails. They found nothing substantive. The case was closed. Clarke got into it with the media this week on Twitter and at first, Twitter let him alone. Evidently, that was short-lived. Twitter leftists converged to complain about three of his tweets. So, Twitter temporarily blocked Clarke. He was placed on read-only mode until he deleted three tweets that allegedly called for violence against members of the media. Now, Clarke’s tweet that I saw was a Photoshopped cartoon that showed a wrestling ring and Trump holding CNN, while Clarke kicked them in the face. It was humor, it was not a call for violence. I don’t know what the other tweets were. I suspect they were in the same vein. In one tweet, which has since been deleted, Clarke told his followers, “When LYING LIB MEDIA makes up FAKE NEWS to smear me, the ANTIDOTE is to go right at them. Punch them in the nose & MAKE THEM TASTE THEIR OWN BLOOD. Nothing gets a bully like LYING LIB MEDIA”S attention better than to give them a taste of their own blood #neverbackdown.” That was the one in the wrestling ring. Twitter had no problem with it at first and changed their mind after getting pressure from the left. Talk about subjective editing and censorship. You see far worse from the left online all the time. Twitter’s fascism is noteworthy here: “We have reviewed the account you reported and have locked it because we found it to be in violation of the Twitter Rules: https://support.twitter.com/articles/18311. If the account owner complies with our requested actions and stated policies, the account will be unlocked.” The Twitter rules note that users “may not make specific threats of violence or wish for the serious physical harm, death, or disease of an individual or group of people.” But that was not what this was… it was illustrative and hyperbolic. And what’s worse, Twitter and CNN both know it. Twitter would not comment. Figures. Clarke won’t talk to CNN… I don’t blame him in the least. I have always made it a rule to never speak to the media. Clarke did tweet on the Twitter reports, writing, “I know I’m winning. Some snowflake lib made a complaint to Twitter because of my earlier tweet about black kids being exploited by lefty failed policies at Ballou High School. I said in my tweet, this CRAP is criminal. Twitter said no violation of rules. Diaper change time.” Again, Clarke is right on the money here. 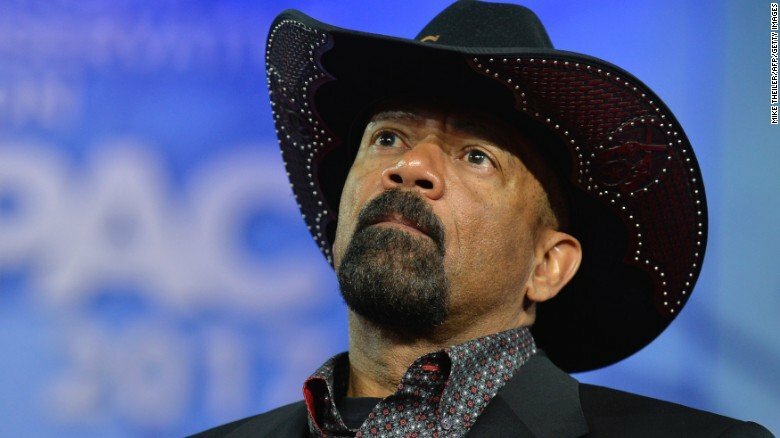 To make Clarke look bad when writing this up, they brought up the fact that he is a Trump supporter, didn’t go to work for Trump when he said he was and retired as sheriff. These people are just plain evil. They’ll do anything to smear someone on the right they consider a threat. I like Clarke and this won’t slow him down in the least. Keep it up CNN and you too, Twitter. America is taking note of this.